Huntsman has dressed some of the world’s most elegant, powerful and influential women for more than 150 years. No less than Queen Victoria herself; a leading lady who had an incredible understanding of what a bespoke cut and fit could bring to the functionality and elegance of womenswear. 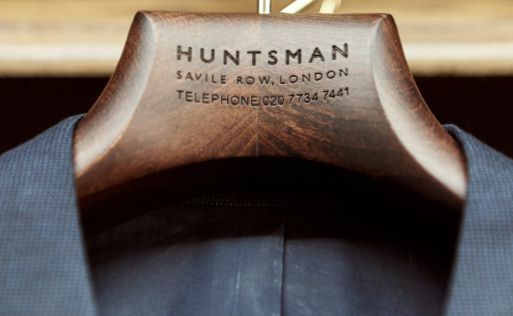 Huntsman’s high profile female commissions bring a delicious feminine twist to its famous men’s tailoring. Cut to the body, accentuating shape and enhancing lines to achieve a mystical union of comfort, glamour and style. 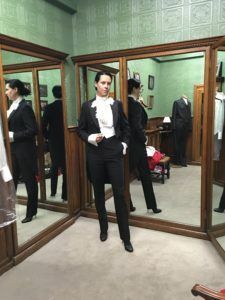 From fashion, stage and screen, high society and royalty, Huntsman’s client list is a veritable who’s who of the world’s best-dressed women. 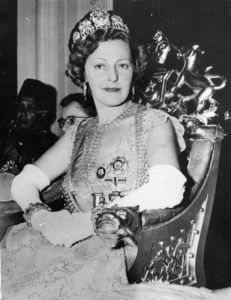 In its archives, Countess Mountbatten of Burma sits alongside Katharine Hepburn, Bette Davis rubs shoulders with the Maharani of Jaipur – names to conjure with. 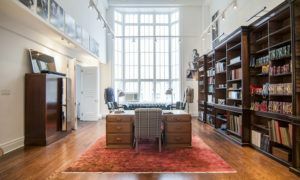 And it was in bringing out their personal style that the firm built a reputation for women’s wear among those in the know. Just as the country underwent significant change with the Great War, so too did Huntsman. 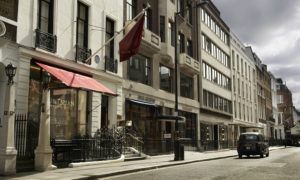 Actresses like Gertrude Lawrence, designers like Chanel and society figures like Lady Diana Cooper began to visit the tailor’s new premises on 11 Savile Row, drawn there by well-connected patrons like the Duke of Windsor. It was around this time the firm began its long association with the House of Cavendish, initially with commissions from Adele Astaire, sister of Fred and wife of Lord Charles Cavendish, son of the 9th Duke of Devonshire. 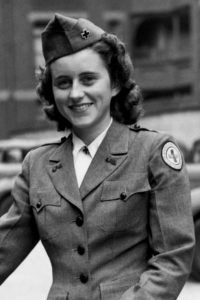 A little later she was joined by Kathleen ‘Kick’ Kennedy, the beloved sister of John F Kennedy, and wife of Billy Hartington, heir apparent to the 10th Duke of Devonshire. 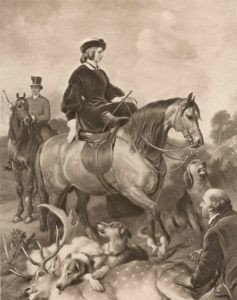 With Deborah, Duchess of Devonshire the relationship reached its apogee, in outfits well-suited to her active, outdoor life. It is in the forties and fifties that the firm truly hit its stride. 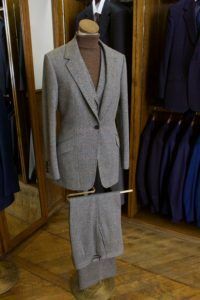 This was the decade that saw the introduction of the tailor’s signature one-button jacket, and the appointment of Head Cutter Colin Hammick, who sharpened the famed cut further, to refinement. 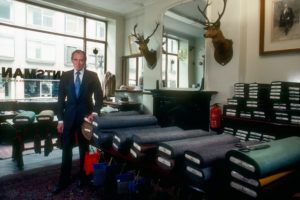 In contrast to other firms on the Row at this time, Huntsman’s owner Robert Packer was careful to keep his skilled craftsmen and women in-house; a canny decision that meant quality was guaranteed. And this, combined with Hammick’s refined aesthetic, brought orders from all over the world. Among them, commissions from women still revered today for their style, character and attitude. Katharine Hepburn, Marlene Dietrich, Bette Davis, Vivien Leigh and Grace Kelly all appreciated the beauty of a Huntsman garment: expertly cut, brilliantly flattering. While some loved the feminine twist on men’s attire that the tailor achieved, others were interested in exploring new fabrics and styles – Elizabeth Taylor memorably had a pair of trousers made in yellow nylon. This close relationship with Hollywood continues to the present day, with icons like Nicole Kidman and Lauren Hutton among the firm’s clients. They are joined by many other notable figures who set the bar for style. Women like Daphne Guinness and Charlotte Stockdale. Women who know what they want and value the opportunity of working with our craftsmen, choosing just the right fabric, achieving the perfect fit. Fashion brands often use women to make their clothes look great: we create the clothes that make women look great. That’s why customers come to Huntsman. For the experience, care and detail that goes into creating truly elegant, flattering, one-off pieces. The privacy of the fitting room. The choice of material and style. The time taken to get things just right. The little adjustments that make all the difference. It all adds up to that moment in the mirror when you put the finished garment on, and never want to take it off. 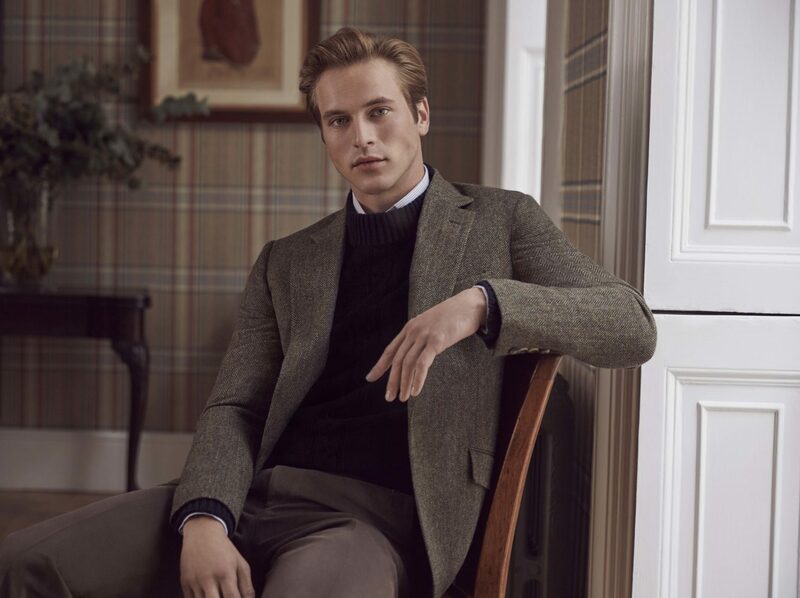 Sumptuously soft cashmere wools, timeless dusky tweeds, summer-light hopsacks, silky satin velvets. 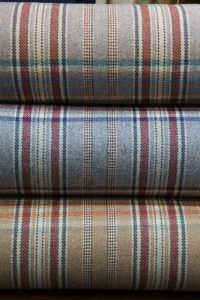 We have thousands of cloth samples to choose from. In colours that can illuminate, soften or enrich skin tones. And weights and weaves that work for different occasions, seasons and climates. 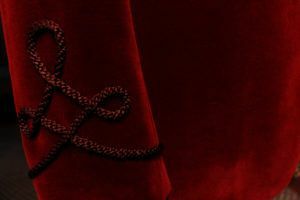 Every Cutter brings a wealth of experience to an appointment; advice on how fabrics move, hang and drape when manipulated. Not only this, they also suggests features that make a garment unique to you – a secret pocket, a hidden silk lining. The Cutter is an expert at understanding and enhancing your figure by working with your curves. Your cutter will take up to 50 measurements and watch how you move, hold yourself, how you stand when no one’s watching. He understands and will listen to all your requests and qualms: making you look your absolute best comes second nature to the Huntsman cutter. 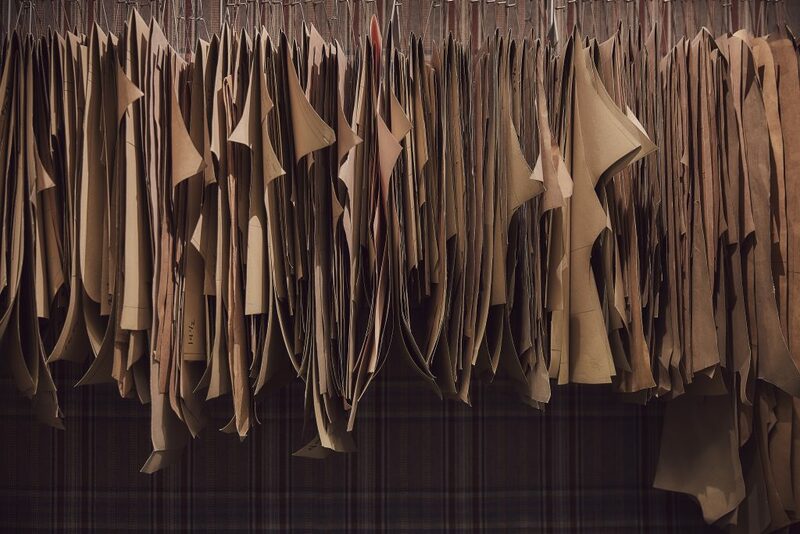 With the information transferred to a paper pattern, observations are added to the cut, like an artist taking a view, making sure that two dimensions effortlessly convert back to three, and the fit is truly yours. There is a tailor for every type of garment. Skirt, trousers, waistcoat, jacket – each needs handling differently. Yours will be constructed from fabric cut into panels, roughly stitched and – if a coat or jacket – lined with horsehair to see how it hangs. Then adjustments made as it is carefully assembled again. At the first fit you will try on a garment that’s barely recognisable as such: buttonholes missing, interlinings visible, marked with chalk and stitchings. This fitting is for your cutter, looking at what’s working , how the cloth drapes on you, and where adjustments need to be made. 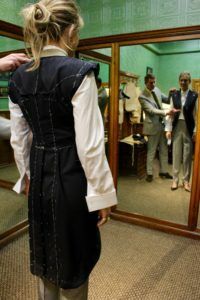 At the next fitting your outfit takes shape, and small improvements may be all that’s required, or another booking made. Your garment will then be finished, pressed and delivered to you around eight to ten weeks from your first visit. 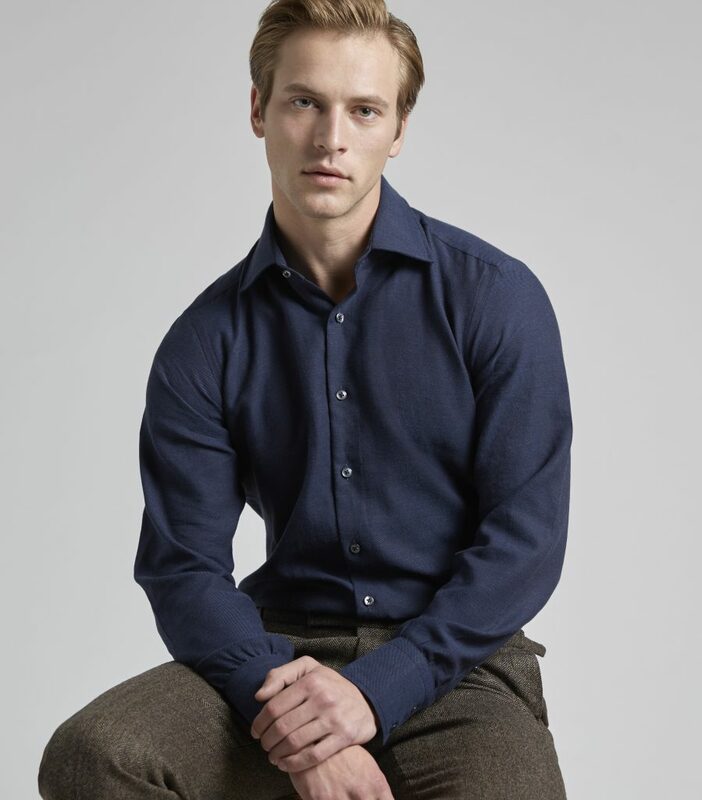 At Huntsman we see a garment through from start to finish, and into the future too. One could argue we never finish caring for your clothes: we just had the privilege of refitting a Huntsman coat from 1925! 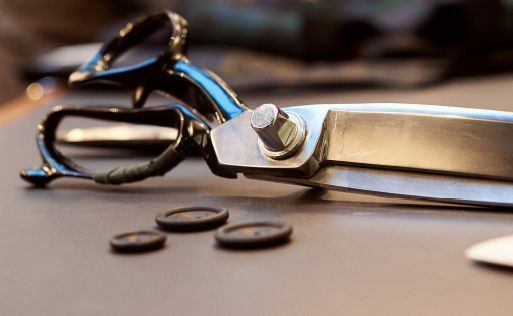 We are here to make sure your Huntsman creation retains it quality and character throughout its life and are available for advice, as well as dry cleaning, repairs and pressings. Investing in timeless, bespoke pieces is a passport to elegance. 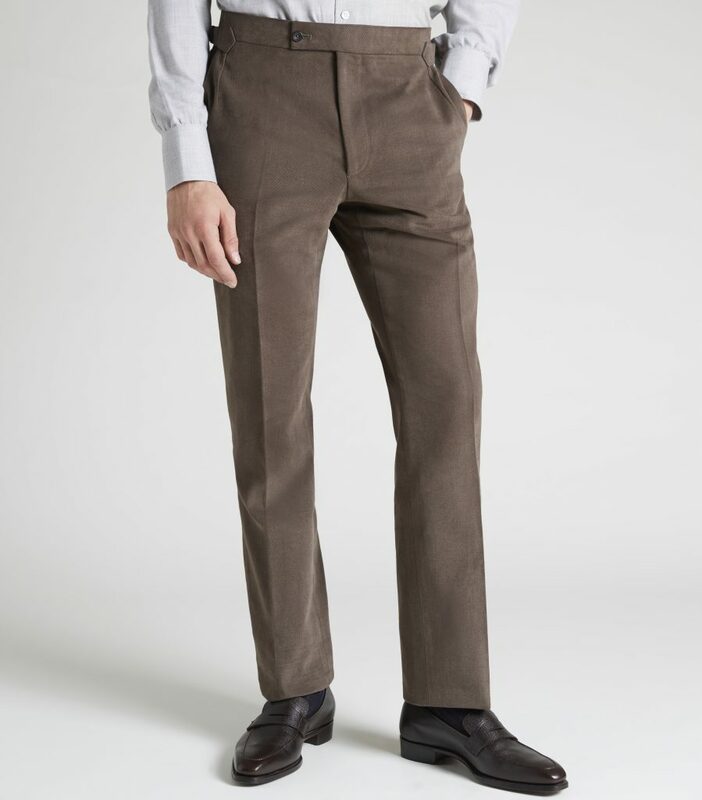 However they are worn – with seasonal outfits, designer highlights, or on their own – they are guaranteed to make you stand out, radiating with the confidence a great fit bestows. The trick is in the cut: placing chest canvases above the bust for a softer look, adding panels, tricking the eye, working into your shape to create something truly special. Silhouette and structure come together in morning suits with delicate lapels and shoulder lines, waistcoats vividly contrasting with sombre suit fabrics. 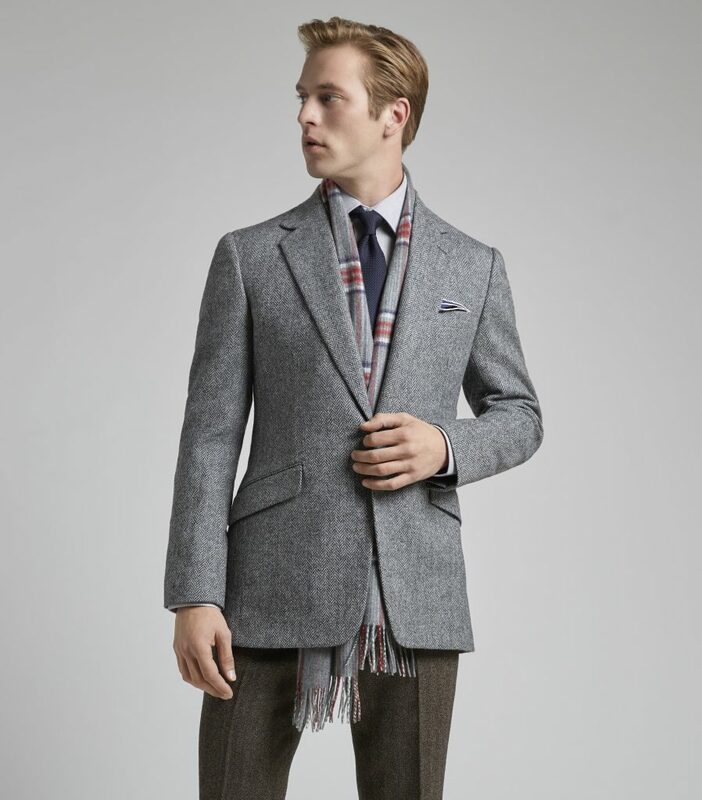 Sophisticated three-piece suits in grey flannel strike just the right note for business. 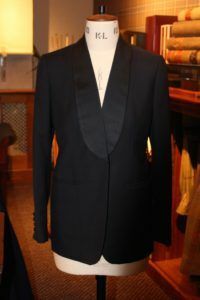 A versatile midnight blue jacket thrown over a dress for added polish. Licence to play, with a velvet smoking jacket, replete with frogging and satin lapels. Or a single-button blazer, pulling into the waist, in luxurious cashmere worn with just a camisole beneath, silk lining soft again the skin. Town or country, the choice is yours. 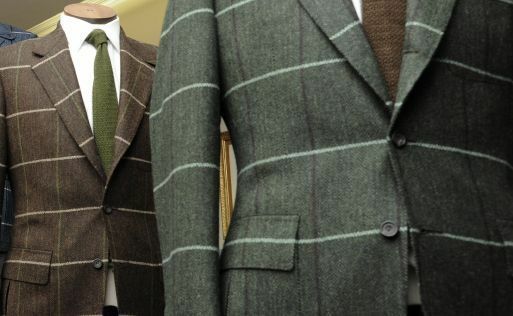 Coats in tweed or gabardine for cooler, rainier weather. 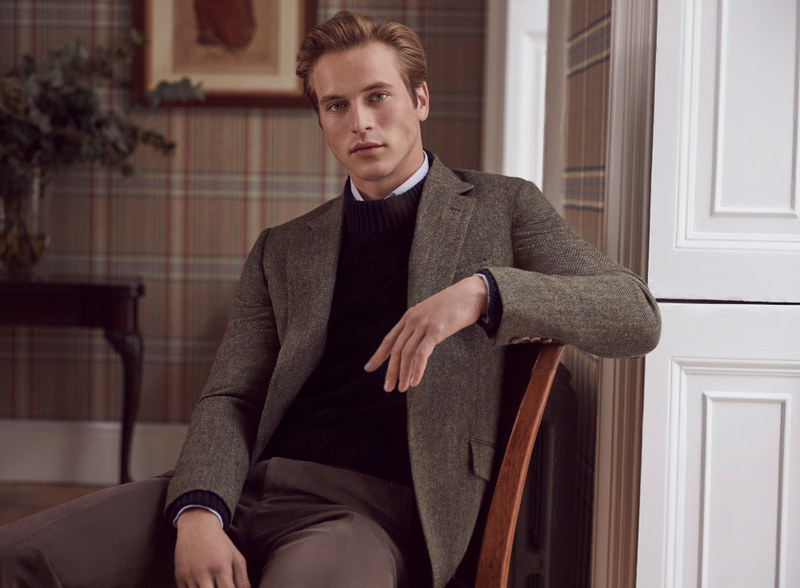 Tighter spun tweed jackets for every day, lasting years. 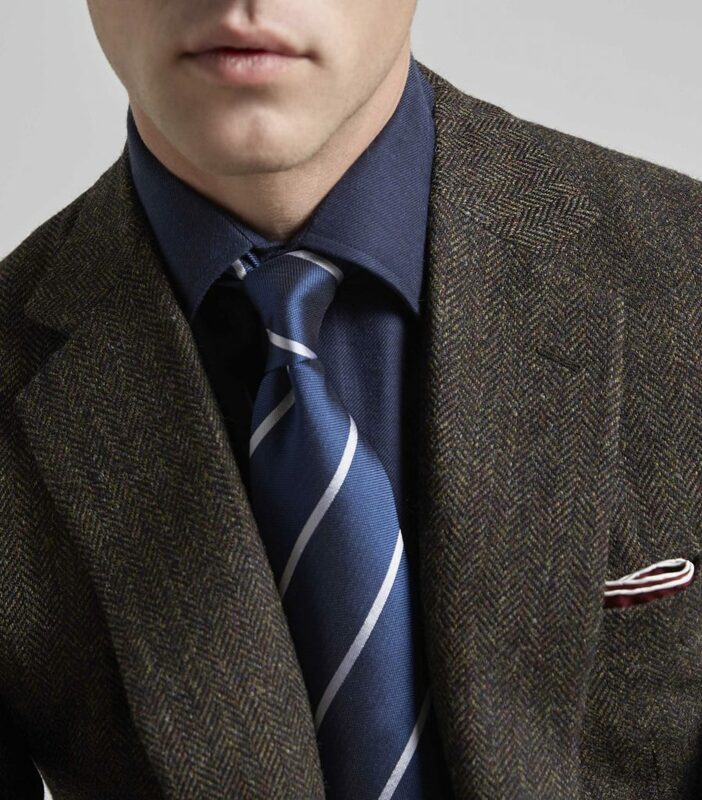 An eye-catching check suit, for striding through the city. Or a sports or shooting jacket that fits perfectly for comfort and flexibility – no compromise required. Every commission is unique. From Charlotte Stockdale’s driving suit for the Mille Miglia to the vintage high-waisted dressing gown, edged in silk, that hangs in our archive. With bespoke, the only limit is your imagination. Whether for styling advice, choice of cloth, a bespoke fitting or general enquiry, our client managers and cutters are here to help. 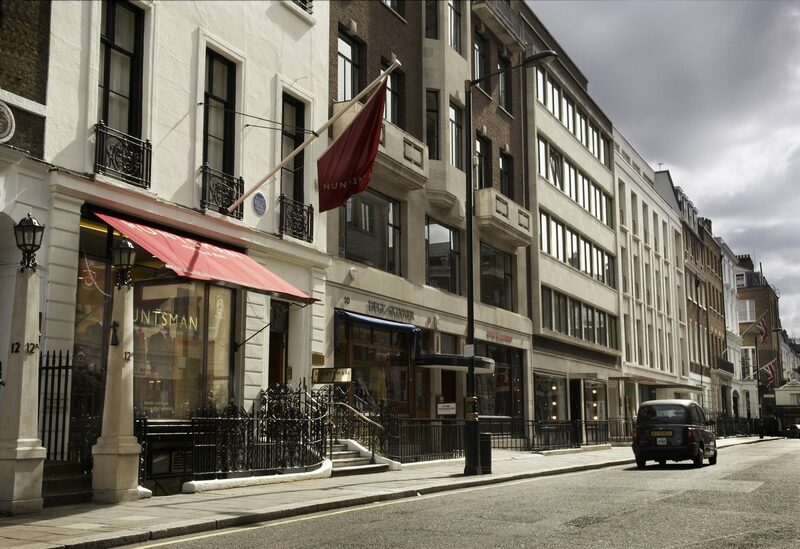 In London you can either drop in to see us in Savile Row or make an appointment to ensure we offer you the necessary time and attention. 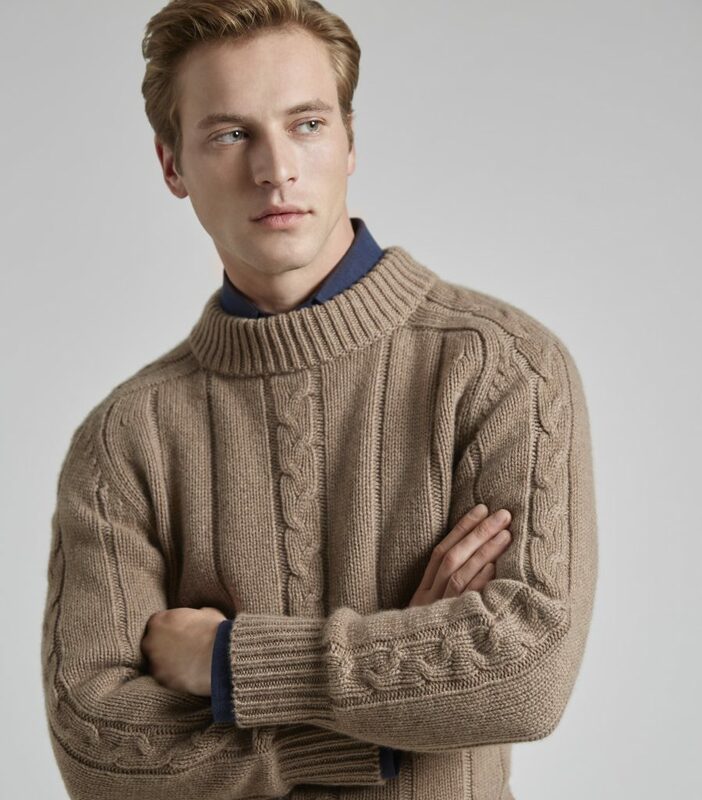 In New York, Huntsman on 57th Street is open by appointment only. You can also arrange to see us during our trunk shows in Chicago, Washington DC, Los Angeles, San Francisco, Boston, Atlanta, Dallas, Houston, Palm Beach. And we will come to other cities on request. In Asia we currently visit Bangkok, Beijing, Chengdu, Shanghai, Seoul, Tokyo, Hong Kong, Hanoi and Singapore. We also travel to Europe and the Middle East. And we are happy to visit international clients in their preferred location – please email us if you would like to arrange this.